We blazed a trail in the engagement survey business 10 years ago by focusing on calculating the engagement level based on how well a person’s current work situation meets their most critical needs. Believe it or not… we’re now providing the same comprehensive survey and reporting for NO COST. That’s right… ZERO, ZIPPO, NADA, No Chips (New Word for Cash). What's Included in the CTS Engagement Survey Package? 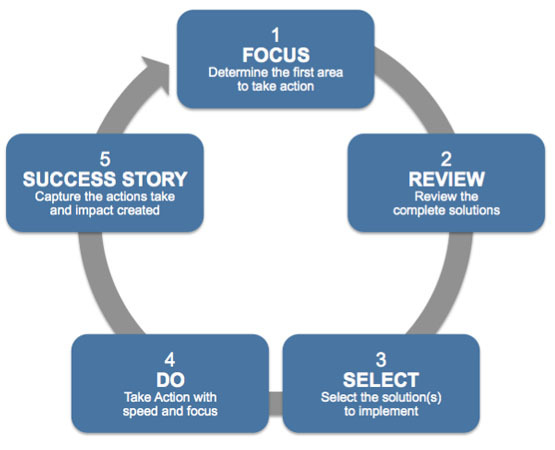 Our job is to equip your organization to take action… improve organization performance (period). What we’re really selling and hopefully – you’re buying is how to equip every manager and team with targeted talent solutions designed to make a sustainable impact on performance. Executive Overview Session – We can conduct a leadership session with internal resources to share the data and plan taking action process. Web-based or Train-the-Trainer plan to help everyone understand what is required to take action… and capture the impact of taking action. CTS will map specific talent solutions to your unique items and dimensions… solutions which when performed on-the-job will increase talent results and operating performance. Measure taking action results and changes to operating performance based on survey item improvements. © 2017 Center for Talent Solutions. All Rights Reserved.